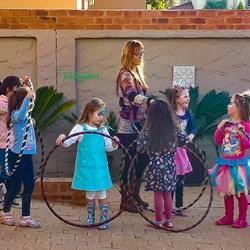 I offer you exciting party entertainment for kids and in fact, all acts are enjoyed by young and old! I have been face painting professionally for the last seven years and it is still one of my all time favourite fun things. 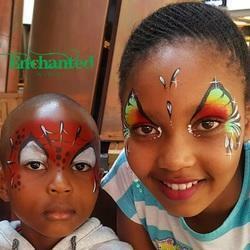 I have painted hundreds of faces – children’s and adults – at big corporate events and promotions (including H2O, The Delicious Festival, Ultra South Africa and the 5FM Neon Run in Johannesburg) as well as at school fêtes, birthday parties, concerts, festivals, charity events, shopping malls and holiday resorts. I use TAG, Snazaroo, Chameleon and BodyArt face paints which are imported, non-toxic, water-based paints of the highest quality. I add glitter and diamantes for extra sparkle, and UV paint at night-time events to give that awesome glow-in-the-dark effect. All the paints I use are hypo-allergenic and comply with EU cosmetic directives. 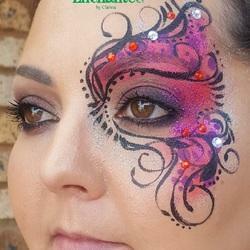 In 2014 I completed a professional face painting course with Misha Morard of The Face Painters and Madame Zingara. Contact me for a customized quotation. Discounts for multiple hours and charity events.